Wow – an epic week up at the Edinburgh Fringe Festival in which Basia, Jane and I managed to clock up over twelve shows in a week! Click on the above image to hear us play ‘The Suitors Ballyhoo’ on the last Pleasance podcast of the festival. Highlights included an amazing show at the last Golden Hour for The Forest Cafe and a lovely moment when we got to serenade a group of Maths academics in The Pleasance Courtyard who got another group of friends to watch us play via skype on their laptop. 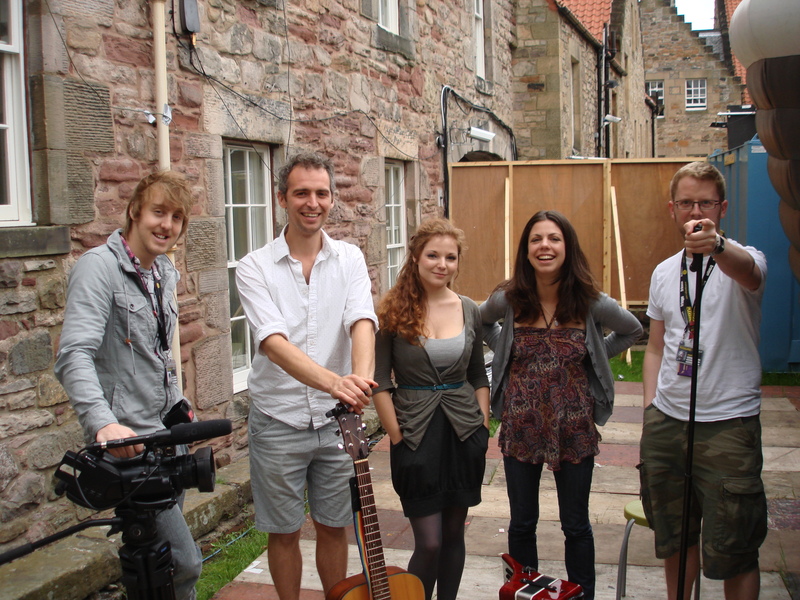 Podcast recording and filming … L-R: Paul on camera, Robin on guitar, Basia on violin, Jane on accordion and Al on microphones. 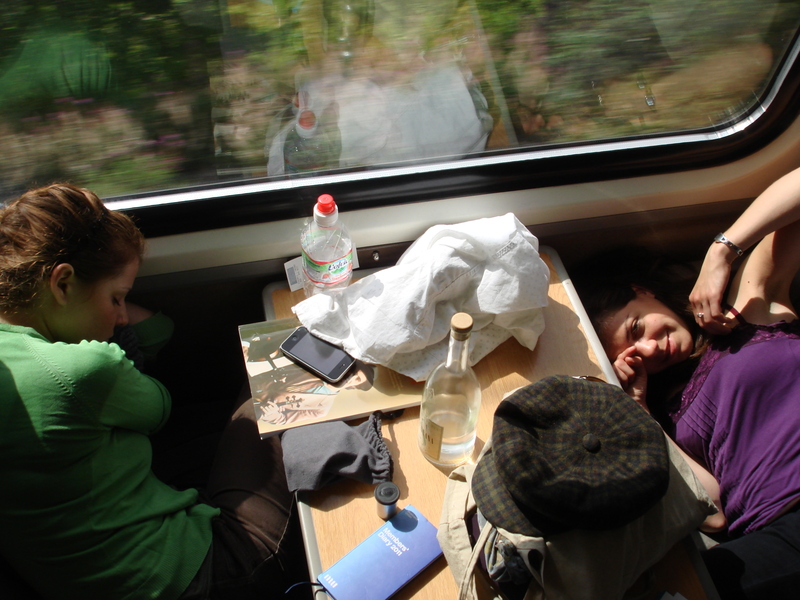 A slightly tired Basia and Jane having a nap on the train heading north to Edinburgh. 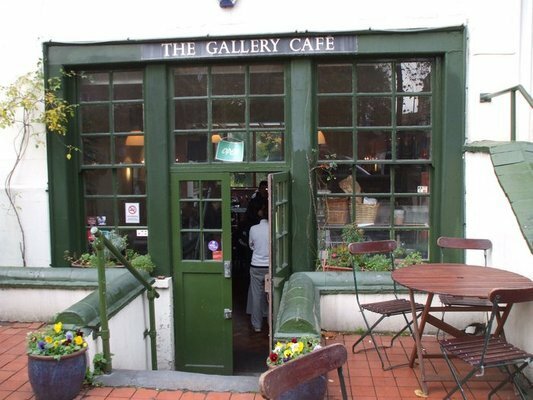 A nice fella called Stefano has just booked me for a show on Wednesday 7th September at The Gallery Cafe in Bethnal Green which is hugely exciting for me as I have heard a lot about what a great venue it is. I am going to be sharing a stage with Stead as part of the BTZK festival. What this music undoubtedly has is life, and a firm grounding in the everyday. From bounce to melancholy we can hear Robin’s enthusiasm: his instrumentals are tight and expressive, his voice soothing and familiar. Mainly this is music to listen to for a celebration of the simple, good things going on in life. And if by some sad chance there aren’t any, then it might help a little on the road to recovery. It is certainly not damning with faint praise to call this offering well-meaning – what higher accolade could there be, if you think about it? And not just well-meaning: well-crafted and well-delivered too. There is a kind of a theme among new contemporary folk musicians who think, and we have reviewed quite a number of them recently. Living in the same times as them must help a little, since we get the little references. For those of us living in London, we’ll maybe get a few more from Hackney-dwelling Robin Grey’s songs than most. I have never heard Amhurst Road mentioned in a folk track before, but for those of you further afield, don’t feel too despondent, because you’re invited to the party too. As the tea and cake loving Grey plays out and about, teaches others what he knows and prepares to release a follow-on to last year’s excellent ‘Only the Missile’ LP, we have lots to look forward to. Grey has released his first album, as well as the EP ‘I Love Leonard Cohen’ which preceded it, under a creative commons licence in a brave and probably very sensible move. If you didn’t know, this allows anyone to share and remix his songs free, so long as it isn’t for commercial gain or without attribution. It is an interesting choice, and probably truer to the original nature of folk music dissemination than any other model. Today, from his EP, ‘Shakes And Shudders’ is a beautiful tune for a bright grey morning, as we slowly awake to the week, this is just the thing to help us on our way.